Lap Battle's Wintercross events are a mix of rally, autocross and road racing. 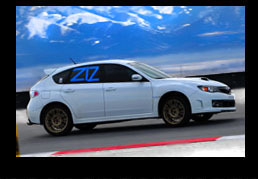 Held on the world-famous Miller Motorsports Park road course in Tooele, Utah, Wintercross combines all aspects of a driver’s skill to navigate a course unlike any other. The conditions of the track are left to nature and the course of the day. Dry pavement, snow, ice, water, slush, dirt, gravel and mud are a few of the conditions that can be encountered. Drivers must anticipate track conditions, speeds and tire choice in order to obtain the title of Wintercross Champion. Lap Battle's Open Track Days provide a fun and safe environment in which to learn the limits of your car, perhaps evaluate recent performance modifications, and most importantly, improve your abilities and driving skills. Our Open Track Days start with a mandatory drivers' meeting. Each run group usually gets 20 minutes of track time per session. Expect four sessions per day. That usually translates to more than enough track time for you to be completely exhausted from the high level of concentration, the rush of adrenaline, and the wear your body will take handling g-forces it's probably not used to dealing with. 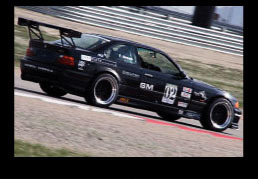 The Lap Battle Time Attack Series is an entry level automotive competition program, utilizing a time trial style race format, with rules that establish several different car classifications to provide a contest of driver skill. 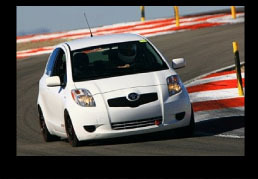 Lap Battle Time Attack is designed to bridge the gap between open track days, and wheel-to-wheel racing. Lap Battle Time Attack provides an affordable arena for spirited on-track competition with a high degree of both safety and excitement. Strict passing rules, safety guidelines, and driving requirements provide a lower risk environment to enjoy the trill of road racing.